A Christmas film that features the music of Muse, Joe Strummer, The Clash, Elbosco, and Feeder? Well, Millions is not a typical Christmas film directed by Danny Boyle, as we know is not a typical filmmaker, and features not-so-typical songs you would associate with the holiday season, but only Boyle could make this work. The 2004 film was a sleeper with audiences, but has gained momentum on DVD and has been praised in the 10 years it has been released, yet, the music of the film and the not-so-Christmas tunes used is one of it's real stars. 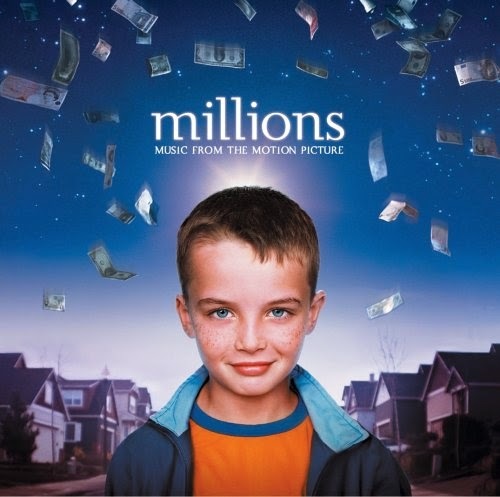 Millions tells the tale of two tween brothers who stumble upon millions of British pounds and try and figure out what to do with it. One brother wants to spend it all, while the other wants to give it away. Yet, set in the backdrop of the festive season, the "What would you do with the money? "scenario plays with the audiences head. While that rings through the spirit of the crowd, the music rings through the audience's ears that one would never expect to associate with a film like this.